Though the writing looked to be on the wall for Phil Coulson and his crew, word has it that Agents of S.H.I.E.L.D.‘s current fifth run might not be its final season, after all. 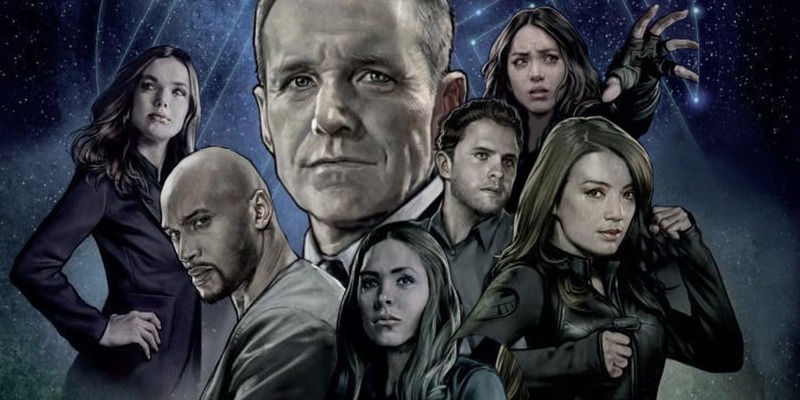 Deadline has reported that the Marvel TV series is “on the bubble” and its chances for renewal “could go either way.” Despite the show’s rabid support from its very loyal fanbase, S.H.I.E.L.D. has always suffered from fairly sub-par ratings. However, Deadline argues that its strong DVR performance could make up for its disappointing live viewing figures. It’s also a big international seller for ABC, thanks to sporting that lucrative Marvel Studios brand. There’s also the fact that the series has enjoyed probably its best two seasons in the past couple of years. Infamously, S.H.I.E.L.D. didn’t have much in the way of its own identity in its first batch of episodes, but things have really turned around over the last little while. In particular, seasons 4 and 5 have demonstrated a lot of creativity, exploring Matrix-like alternate universes and even sending the team into space. Another tick in the “Renew” column is its backing from the folks at Marvel. It was rumoured that the House of Ideas managed to get ABC to renew it for a fifth season last year. However, there’s only so much the studio can do. After all, the network has already cancelled both Inhumans and Agent Carter, even though Marvel surely would have wanted them to continue. Not that anyone’s crying for the loss of the former, mind you. Whatever happens, it seems that showrunners Jed Whedon and Maurissa Tancharoen are prepared for any eventuality. They previously revealed that the season 5 finale is being written with the idea in mind that it could also act as the series finale, as well. Still, obviously they’d like to make more S.H.I.E.L.D. and as such, the episode will drop some breadcrumbs for the coveted season 6 to pick up. Be sure to catch Agents of S.H.I.E.L.D on Fridays on ABC.